Life is about “baby steps”, a little at a time, One session will achieve profound results. The average session is 3 hours, however, I do not wish to rush the session along and prefer to allow it to take as long as it takes to get the results we want. The first hour is dedicated to a personal consultation that is spent in going over the intention of the regression and getting to know and understand you and your needs better. This is a very important part of the session. The regression itself is usually for one - 2 hours. Each session is recorded for you digitally to take home with you, so you should bring a USB stick or laptop to receive the file. If you have any questions about what will take place, this is the opportunity where you will get detailed information of what is to transpire, and remember every session is unique. Yes, it is very safe and gentle when performed by someone with specialised Past Life Therapy training. 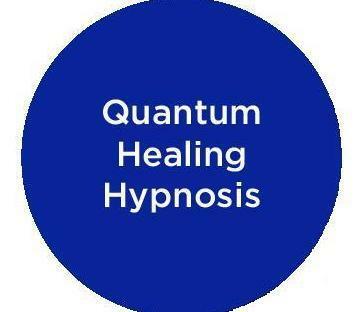 Just like during any other hypnosis session, you will be in control of your own experience all the time and I, as your facilitator, will always make sure that you detach from any pain or uncomfortable feelings if this would happen. Believing in Past Lives is not a prerequisite, neither is your religion. During a Past Life Regression the subconscious mind can take people to the cause of the problem and it may happen to be in another body, in another time. Everyone experiences it as very real and relevant to their issues or struggles in the present life. What really matters are the lessons, wisdom and healing that is accomplished through the session. Are Past life Regressions real or are they just created by one’s imagination? Are we just making it all up? I do get asked this occasionally. There are many cases that can be documented through historical research, which can prove the accuracy of the information, far beyond the chances of random imagination. However, whether real or imagined, the most important are the healing, lessons of love and forgiveness, wisdom and insights that help improve this life. It can also be seen as a journey into the subconscious mind or soul that reveals the answers that we need to know at this time. Do we relive the experience and feel everything that is happening? It is common for people to see, hear and feel everything that is happening, almost like a dream. However, everyone is different and some people may experience it in a more visual way, others will not see it clearly but may feel or hear what is happening. But it is also possible that people may just observe the experience, as if they were watching a movie in their minds. Anyone can be regressed. Many people think they are not able to regress or say they cannot relax, but with help they will find the process effortlessly easy. You will be able to continue with your daily activities. Some people feel tired, and/or hungry, and/or thirsty. All that is normal and should be honoured. If possible, it’s wise to schedule an appointment at a time when you will not have too many activities to do after your session as it is possible you will get more insights and thoughts about your Past Life Journey. It is nice to give yourself that time to reflect and nurture yourself. It's also good to write up (or tape) your notes and reflections on the session afterwards as this tends to re-activate your memories and perhaps fill in some of the gaps. The first night after a session is usually dreamless but beyond that, for a week or so, you might get relevant dreams so it's good to keep a notepad or tape recorder at hand.